HERE'S OUR LATEST TREAT FOR YOU! 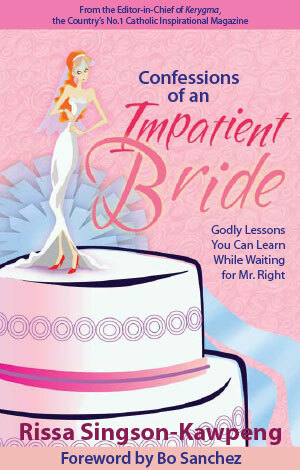 CONFESSIONS OF AN IMPATIENT BRIDE by Rissa Singson Kawpeng is now available as an audiobook! Listen and be inspired as National bestselling author Rissa Singson Kawpeng shares her funny, frustrating, and faith-filled experiences as a single lady while waiting for Mr. Right. Click below to listen to our free chapters. Enjoy!